At Geilo Hotel, enjoy a satisfying meal at the restaurant. Wrap up your day with a drink at the bar/lounge. A complimentary buffet breakfast is served daily from 8 AM to 9:30 AM. A stay at Highland Lodge places you in the heart of Geilo, just a 4-minute walk from Geilolia Summer Park and within a 5-minute drive of Geilo Activity Centre. This 4-star hotel is 4.8 mi (7.7 km) from Hallingskarvet National Park and 6.8 mi (10.9 km) from Skurdalen Church. 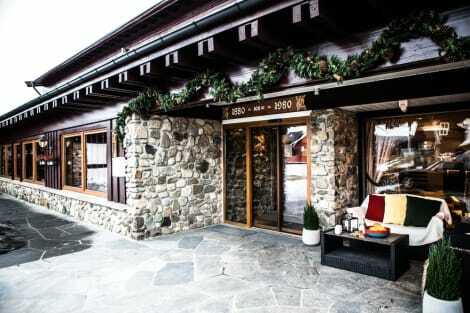 This 4 star hotel is located in the city centre of Geilo. It is a short drive away from the Centre of Geilo and the nearest station is Geilo stasjon. The Hotel has a restaurant, a bar, a conference room, an indoor swimming pool and a fitness centre/gym. All 86 rooms are equipped with hairdryer, safe and ironing set. lastminute.com has a fantastic range of hotels in Geilo, with everything from cheap hotels to luxurious five star accommodation available. We like to live up to our last minute name so remember you can book any one of our excellent Geilo hotels up until midnight and stay the same night.